The Dell S2340T is a multi-touch monitor that you can use as an accessory for a tablet, Ultrabook, or laptop, so you can ease into the Windows 8 experience. 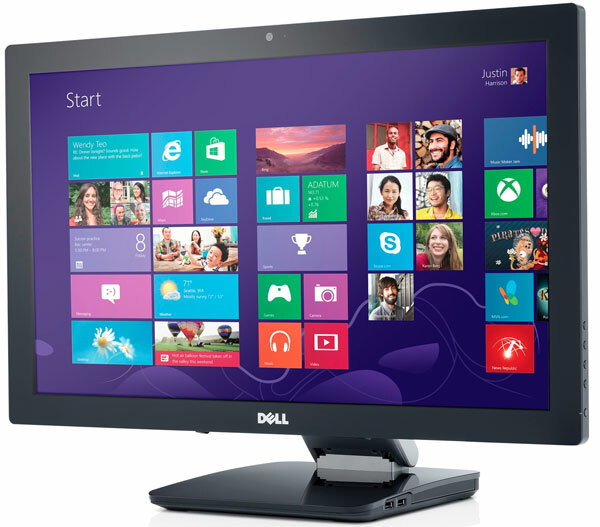 The Dell monitor has a number of features that complement the multi-touch functionality of Windows 8. For starters, the monitor is huge compared to tablet and Ultrabook screens. The glass screen measure 23 inches and has a 1920 x 1080 to solve those high-definition needs. The large screen also means that it will be easier to navigate Windows 8. Another of the monitor’s nice features is that it will recognize all ten fingers when they are pressed onto the screen, allowing for a very high freedom of movement. To keep the ball rolling, the S2340T is also equipped with a multi-position stand that allows you to tilt the monitor forward or backward or lay it down horizontal, a feature that makes the argument that touch monitors are not ergonomic null and void. The most important and interesting feature of the S2340T, however, is its built-in laptop dock. Connect your laptop to the monitor through a USB 3.0 cable, and the dock will automatically go to video mode and feed the display from your laptop to the monitor. If you’re connecting through an HDMI or DisplayPort however, you’re going to have to connect to a USB 2.0 cable to gain access to the multi-touch function of the monitor. 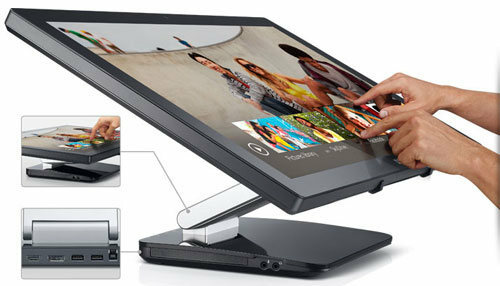 A few things to note about Dell’s multi-touch monitor though. It won’t support Windows RT, since its main market are x86 Windows 8 users. Other than that, there should be no other compatibility issues (it will be compatible with the Surface Pro). The Dell S2340T is now available through Dell’s online store for $650. Don’t forget to share what you think about your new Dell Monitor! This entry was posted in Dell, USB 3.0, USB Monitor and tagged Dell, S2340T, USB 3.0, USB Monitor. Bookmark the permalink. Wow! I want one from the start!! !